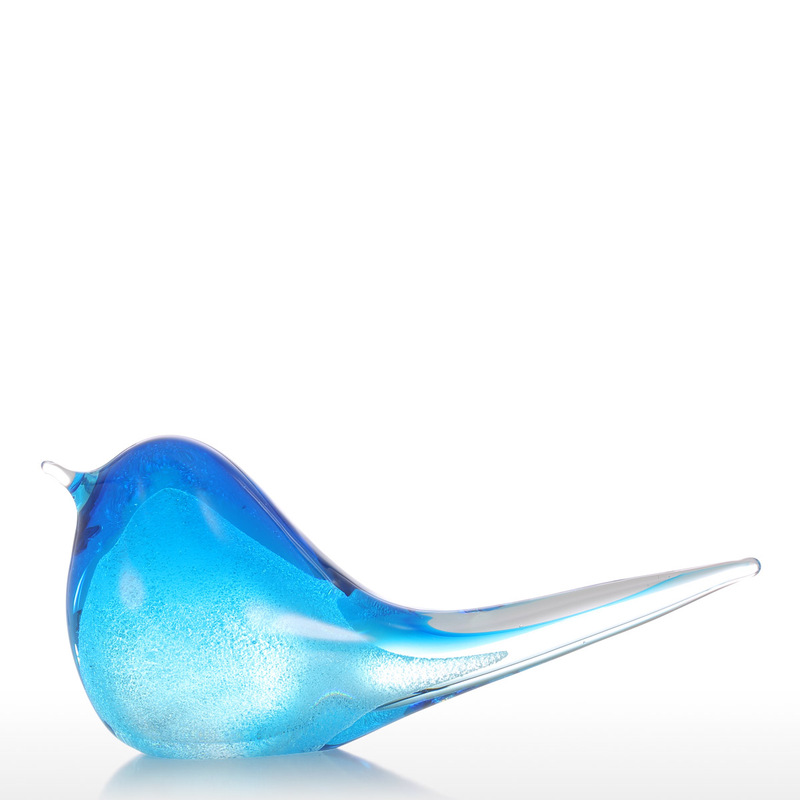 This is a lake blue colored glass bird. 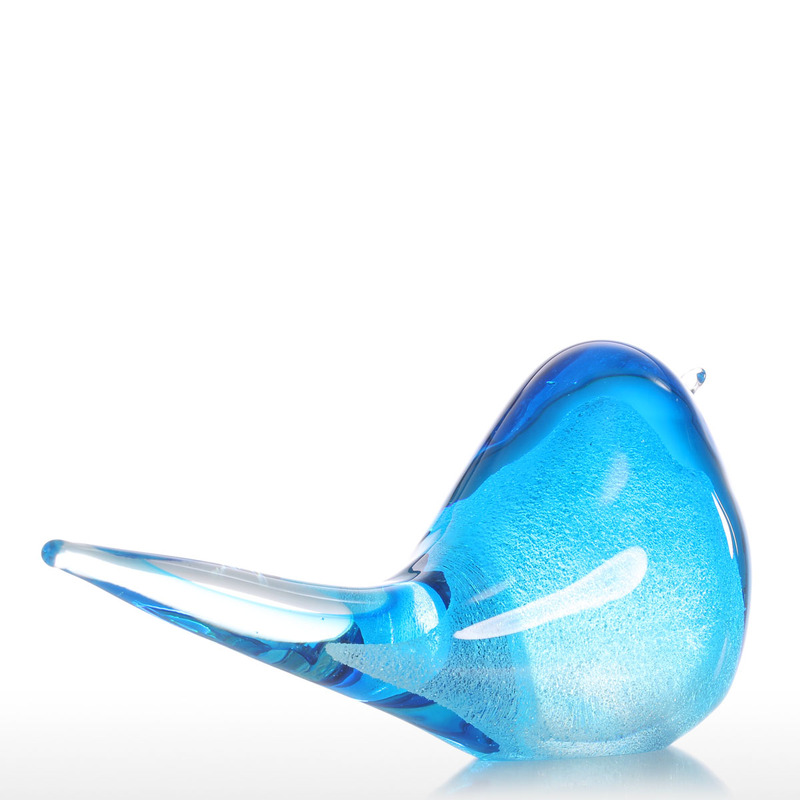 It has smooth and natural styling, the exaggerate long tail makes it additionally adorable. 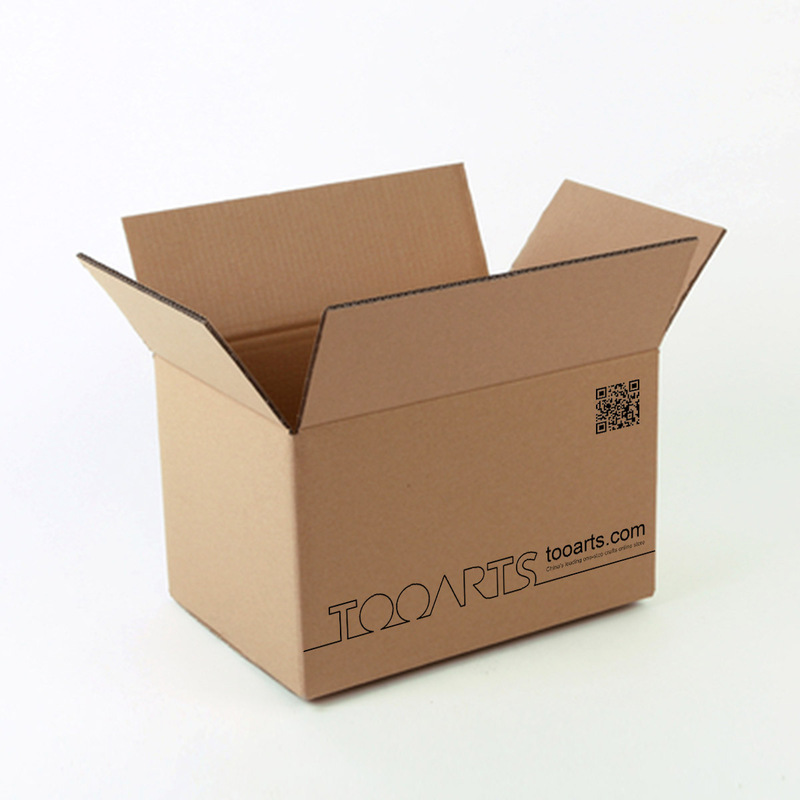 The excellence of quality is our untiring pursuit. 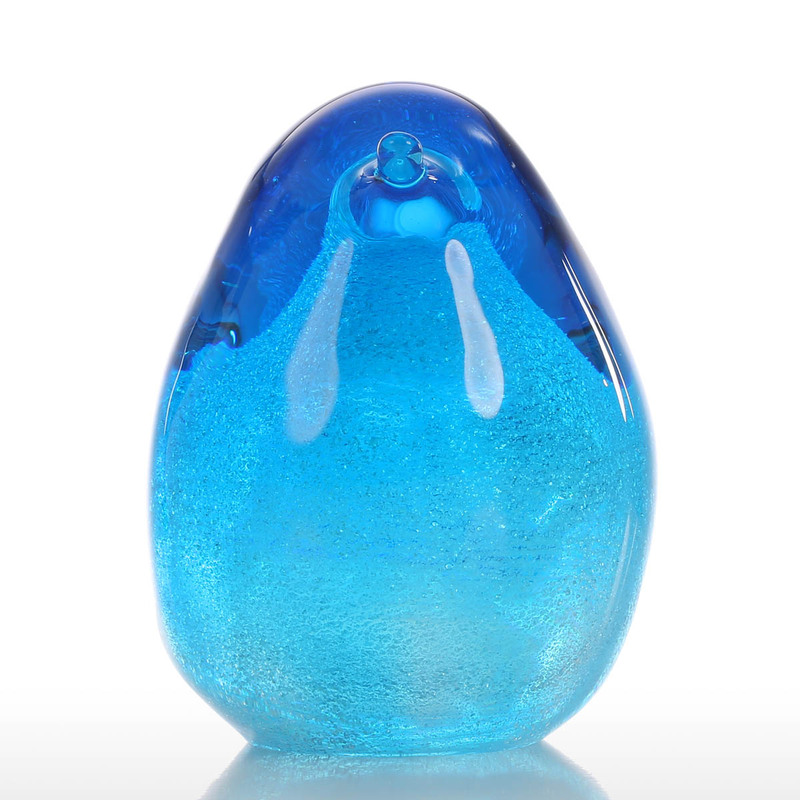 Due to the purely handmade processes, subtle naunces are common and inevitable. And that's also what makes every sculpture a unique artwork. 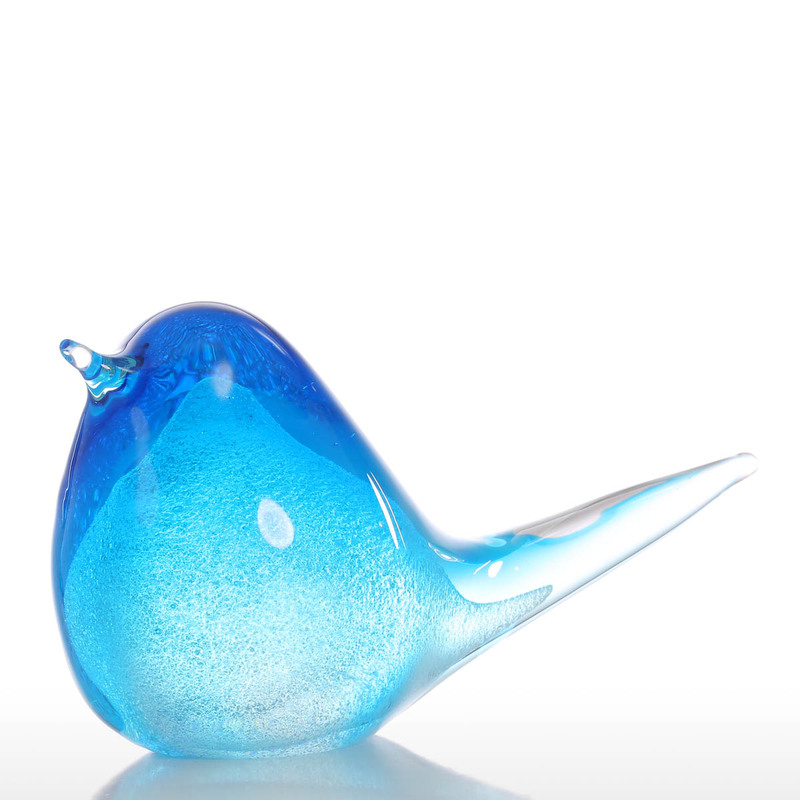 Lake blue glass bird, beautiful appearance. 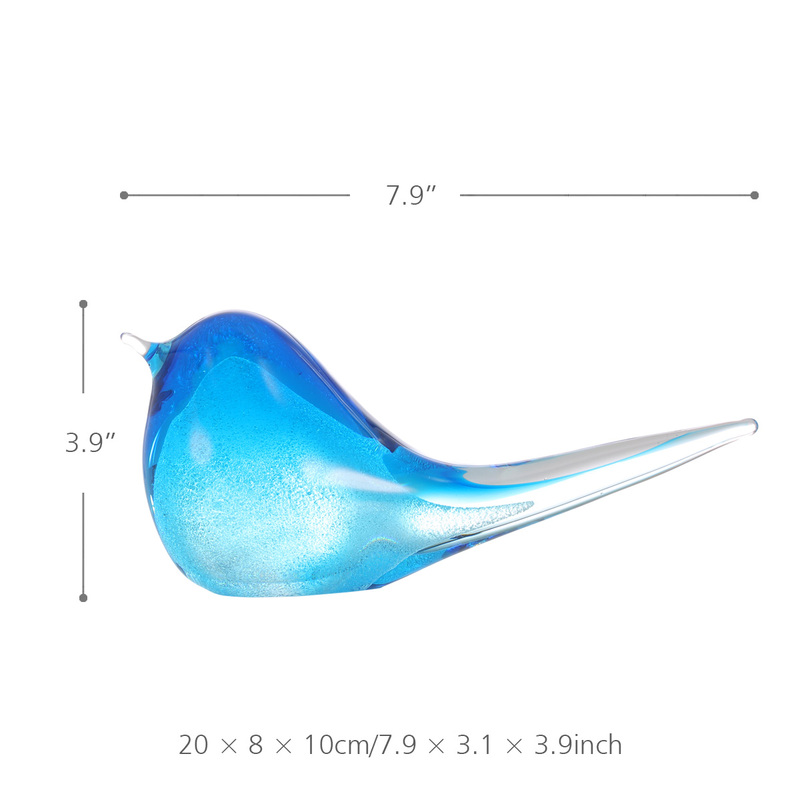 Smooth and natural styling, adorable long tail.